Club Penguin Puffle Digging Cheats! Hello penguins! I have some Club Penguin cheats for you! 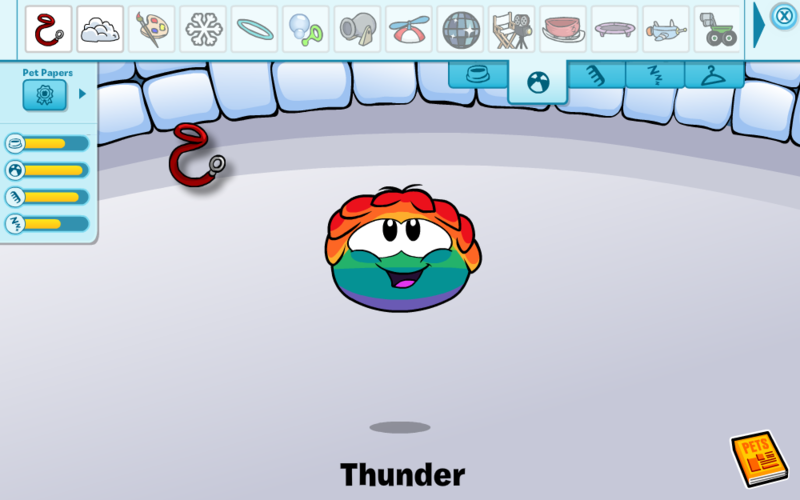 Did you know that there are a lot of cool items your pet puffle can find around the island? Taking daily walks can keep you and your pet puffle healthy and find cool items along your way! Let's get started. To start off, you need to make sure you're a member and that you've already adopted a puffle. Go to your igloo and choose the puffle you would like to walk. You can do this by clicking on the puffle, clicking the ball in the top bar and dragging the leash to your puffle. Now, all you have to do is walk around the island with your puffle. I noticed that when I walked around the island a lot (without using my map) I would find items much faster. Also, if I sat down for a while and then began walking then I noticed that worked too. Try it and let me know how it goes. Once your puffle finds something it will begin to dig. Your puffle can dig up either a bag of precious coins or some cool items that aren't sold in stores! Cool right? Did you know that Puffle Digging can also earn your penguin some stamps? 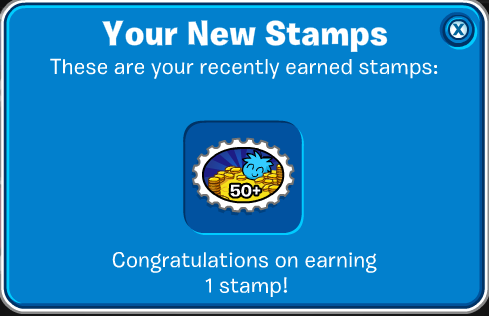 There a total of 7 stamps and many of them are related to Puffle Digging! Try to collect them all! I think the blue and red puffles can dig too. Those two puffles are available for non-members. hey I got member 1 day for a week. does that happen to all penguins?